The coastal town of Negombo is famous for its golden sandy beaches, popular and busy fish market and the Dutch Canal. With many options for a Negombo beach hotel, tourists can choose to stay in places such as Heritance Negombo which are located at conveniently in the city. You can enjoy the truly unique experience of a boat trip along the Dutch Canal, from the delta area of the river. While enjoying the fresh air, you can also witness so many birds such as Purple Heron and also mangroves, local farms, and traditional coconut picking display. 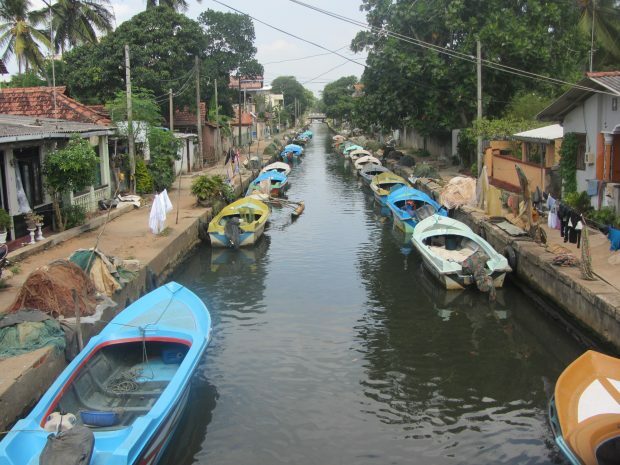 The story behind the Hamilton canal speaks about King Vira Parakramabahu VIII in the 15th Century who initiated the canal project so as to facilitate the transport of goods to the Negombo lagoon, which served as one of the main seaports. This Canal was benefitted to supply Dutch administration operations, construct churches and fishing villagers. The 100km long canal running through the town is still being used and is an attraction. The Dutch canal crossing the heart of Negombo is ideal for making a boat trip. The Dutch canal is the boathouse for many thousand fishing boats. The boat trip approximately takes around 3 to 4 hours. For those interested in nature and the wilderness, take a boat ride into the Muthurajawela marshes and the Negombo Lagoon which is home to numerous species of birds and fish, dragonflies and monitor lizards.